"I'm glad I'm alive!" Doris Louise Bailey, a teen in the Prohibition era, struggles with a life-threatening bout of scarlet fever. And it's an apt summation of how she lived in the years following her brush with death. Doris Louise Bailey, a teen in the Prohibition era, writes this sentiment over and over in her diaries as she struggles with a life-threatening bout of scarlet fever. But it’s also an apt summation of how she lived in the years following her brush with death. 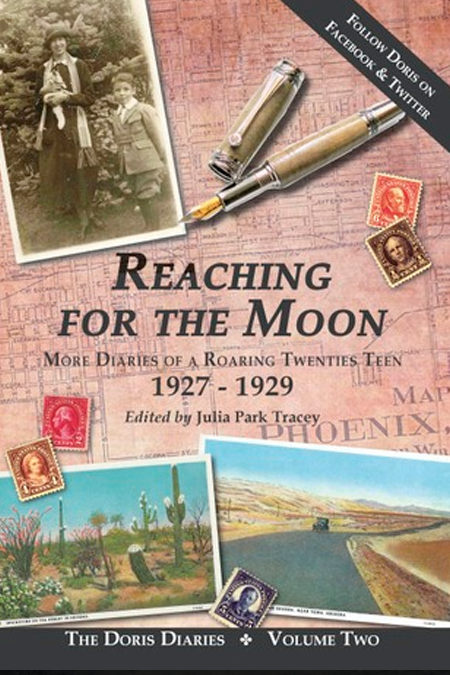 Reaching for the Moon: More Diaries of a Roaring Twenties Teen (1927-1929) contains Doris’s true-life adventures as she flirts with boys, sneaks sips of whiskey and bets on racehorses – breaking rules and hearts along the way. In Portland, Oregon, she’s the belle of the ball, enjoying the attention of several handsome gents. In Arizona, she rides a wild strawberry roan, winning races and kissing cowboys. 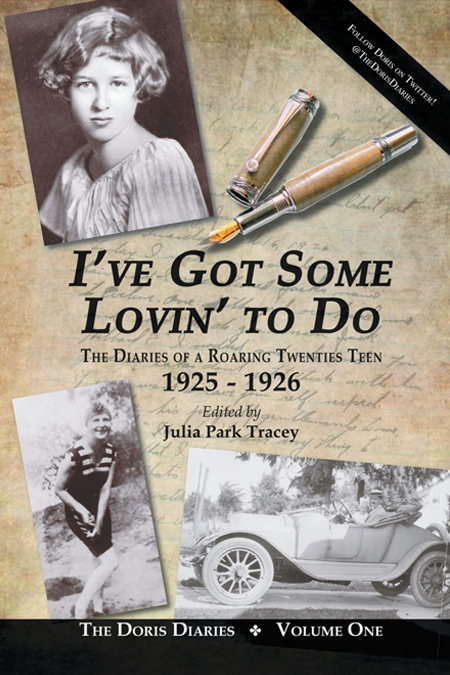 From hospital wards and petting parties to rodeos and boarding school, this older, more complex Doris faces the dawning of the Depression and her own emergence as a young adult with even more humor, passion and love of life than she showed in her earlier diaries. Readers of all ages will relate to her pursuit of true love, freedom, and adventure in her own time and on her own terms.